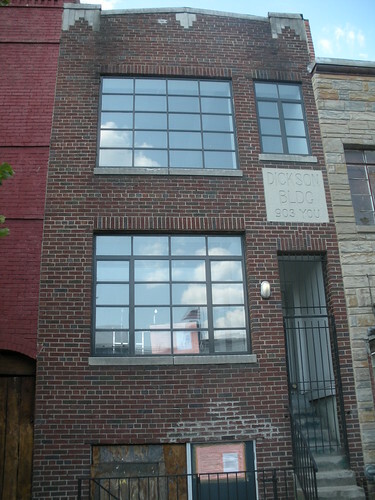 It looks like the former home of Project 4 Art Gallery located at 903 U Street, NW is slated to become a wine bar. 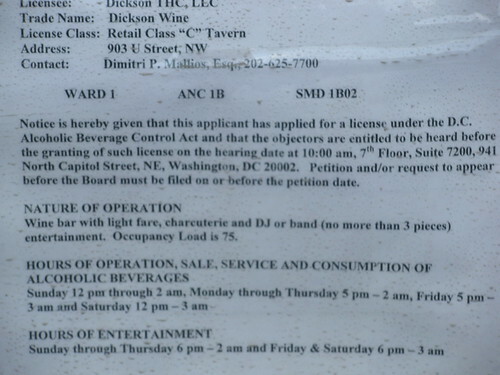 The liquor application says it will be called Dickson Wine, which you can see in the photo above is the name of the building. The application also says there will be light fare, charcuterie, and a DJ or small band with an occupancy of 75. Looks like this section of U Street is really starting to pick up with the addition of Nellie’s, Lounge of Three and now this.